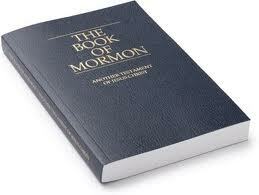 UGANDA: Beware; the Mormons are Lying to You!! I came across an article in the New York Times today written by Josh Kron which I found to be very enlightening indeed. I thank Mr. Kron for his well written article that gave fantastic insight to the daily life for a Mormon missionary and I highly recommend you take a few minutes of your day to read it for yourself. Now, here’s the problem: the missionaries lied on several occasions to the people they were proselytizing. Good job guys. I don’t recall reading even one time of Jesus doing that in the Bible so where are the “Christian” values coming from anyway? LIES, LIES, LIES!!!! If you’re not there to convert then why are you there? While you were jamming out to your favorite rock star in Utah had you even heard of Uganda? Mormons are only one of a number of religious groups vying for local hearts and minds in this predominantly Christian nation. Since this is a Christian nation why is the Mormon Church there to convert? Why aren’t they there for humanitarian reasons? That’s because Europeans have better access to the internet and are typically more aware of Mormonism and less trusting of their lies. In addition to that you’re dealing with the effect of decades of communism and atheism. The Cross is a problem for everyone who rejects the REAL Jesus. “The Mormons were founded by some guy who found stones or something,” a middle-age man calls out from the driver’s seat as he delicately maneuvers his car over a pothole. Elder Dangerfield and Elder Chiromo approach, their clothes betraying their identity. “You are thinking of Joseph Smith!” Elder Dangerfield calls back. Can you imagine? The prophet of God you’re representing is known as the guy who found some stones? Why aren’t you known for bringing the story of Jesus? ANOTHER LIE!!! THEY CONTINUED TO PRACTICE THIS EVIL DEED UNTIL APRIL 1904. The young men take it all in stride — the prickly questions, the cultural misunderstandings, the rain and the cancellations. How very, very sad. Strip them of their identity so you can control them better. It’s one thing to run a ministry or your missions department in an efficient manner and it’s quite another to LIE and tell them they’ll lose salvation for failure of following your manmade rules. The lessons are much the same, convert to convert. The young Mormons simply begin a conversation about what they believe, and if it goes well they leave a pamphlet or Book of Mormon and ask the recruit to give it a read, and pray. They are authoritative but deliver the message in a submissive manner. LIE, LIE LIE!!!! IF YOU’RE NOT TRYING TO CONVERT THEM TO YOU THEN WHAT ARE YOU CONVERTING THEM TO??? God certainly is not a God of lies but the Mormon god is. Furthermore, not everyone knows God is not a God of lies. If you’re unsaved you’re typically not aware of who or what God does and doesn’t do. Unlike other Christian missionaries in Kampala, Ugandans say, Mormons never ask for money. They are polite, not pushy. They volunteer to help local members or anyone curious about joining, even digging ditches or hauling bricks. UGANDANS BEWARE!!! The missionaries might not ask you for money, but if you don’t fork over 10% of your gross income to their bishop you won’t go to the temple where you receive a full salvation. Please, pray those missionaries meet up with some Christians over there and pray the Ugandans reject the lies from the angel of light. I wonder if the missionaries read the passages from Moses and Abraham that says blacks are cursed and sided with Satan while rejecting Jesus in the pre-existence? Nah…that would break with the tradition of telling lies to the prospective converts. I hope that everyone takes the time to read this and see how your pre-conclusions make your take on the article something different from what the article really is saying. So many things twisted I don’t know where to address first. Just to let you know keep up the good work cause truths. Will always surface. It did in my case. I was an anti Mormon before hearing Ed Decker an anti Mormon spred lies and hate. Ed Decker was excommunicated from LDS faith .Was told by his family here in Utah it was due to adultery. If you want to believe people like this I say go for it . Ed has brought more people ,in the LDS faith by People finding out what he was saying was not true. This is so very true and the deception and fear continues. I have one particular Ugandan man that is terribly afraid of losing his salvation if he should search out anything against the church. I will post this for him. God bless you for continuing to bring truth to so many caught in the deception of man made rules and lies. This is not just Uganda, but in every country. We must stop the spread of Mormonism. It is all God’s money to begin with. He gave us life and gives us the means to make money. We don’t believe or think that God “owns” 10%, we know that God owns 100% of our money… He just asks us to trust Him with at least 10%. Yes, 10% is a good place to start… if one can give more, give more. God has blessed us with “wealth” not so we can increase ourselves (not so we build bigger barns to house our assests) but to use that money to bless others and to further the spread of the Good News… That Jesus paid it all and there is salvation in no other Name! But we don’t give out of an obligation or as a rule for “holy living”. God loves a cheerful giver… He wants us to give out of love, not out of fear. Also, Camden, like good works, we do/ give in gratefulness for what Jesus has done for us! Yes, this is NOT a mandantory rule or obligation. The believers in the New Testament, like us, were not under the Law. The NT people sometimes sold all for the support of their church and missionaries. We use 10% as a start or guideline today. Typing “LIE!! !” in all caps with multiple exclamation points several times just makes you look like a twelve year old who can’t control his emotions. It’s not particularly persuasive to anyone with a higher maturity level than you. Also, it may interest you to know that The Church of Jesus Christ of Latter-day Saints created two districts in Uganda (Masaka and Busia) this month.